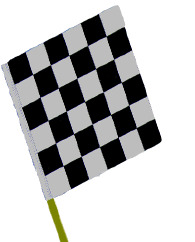 These race track flags for decor or safety are one of our most popular events' products. Racing requires safety awareness as a prerequisite to having the fun and excitement we all experience. 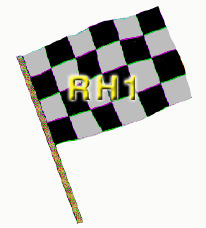 Flags and pennants have been part of the race scene forever. Customers interested in these items often also view the pennants page. Our race theme product line comes in traditional styles: on a string, on a roll and on a shaft. These wonderful products can dress up any used car lot, or turn the pit area of your racetrack into the exciting fun place that it deserves to be. Some of these flags make great event handouts as well.